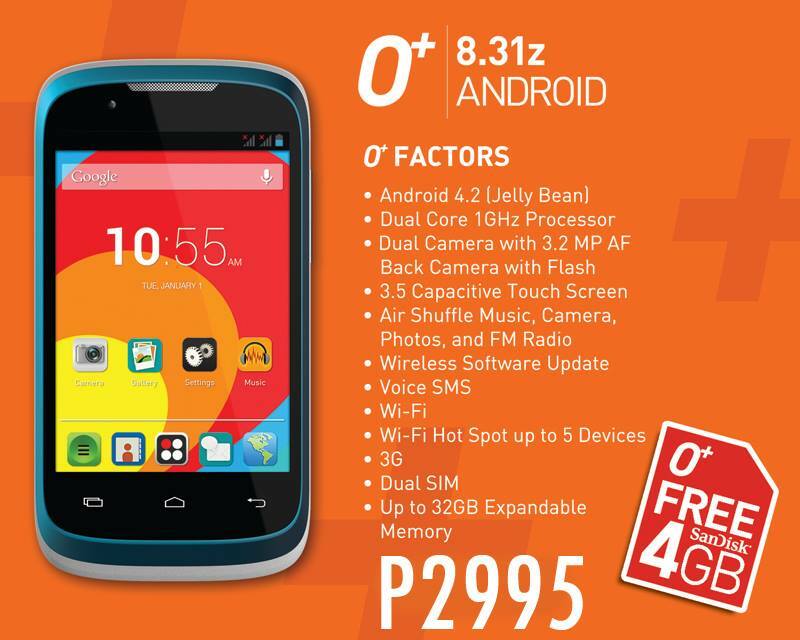 After posting a wrong photos and price of their latest Android devices, O+ USA updated back the correct pricing and post on their FB page. One of the device the received a new price tag is Oplus 8.31z which now cost only 2995 pesos, way far from the first announced cost of the handset. As per their FB team “We have deleted our last post, it seems that we had a mix up with the prices. It's not 8888php. It's cheaper than that. We'll announce it shortly once we make the edits”. Don’t panic guys, they are just humans, for now just enjoy the affordable price tag of O+8.31z. This runs on Jellybean OS so you’ll be experiencing fast and fluid speed while browsing the software package. Another goody on this device is the Air Shuffle features where you don’t need to touch the device to browse photos, music and camera.